I’ve recently gotten back into a decent habit of planning out dinners for the week. Seriously, it’s amazing how differently I approach the dinner decision when I’ve written it out and stuck it on my refrigerator door. This time around, I took things one step further and included a space for writing down any evening activities I might want to take into account when planning those meals. It’s not really an official calendar, really, but it turns out that having those little reminders of what I’ve got going on is really handy. It keeps some of my more aspirational ideas in check — because, no matter how ardently I swear I’ll be good for it, I will never actually come home from yoga at 7:45 pm and want to start chopping and roasting veggies for that night’s Buddha bowl dinner. However, if I chop and roast earlier that day (or even the night before), coming home and warming things up is no problem — and when it’s all written out, it’s easy for me to plan for that. The other habit I’ve gotten back into is keeping pre-made, fresh meals and sides ready. For a while I was really trying to do it all from scratch — our podcast ep with Katy Bowman and her thoughts on movement ecology really inspired me. But, the truth is, cutting a few corners here and there by buying pre-chopped veggies, salad kits, or fresh, pre-made soups? Well, it keeps me from wasting a lot of produce. One day, maybe I’ll find myself in a place where I’m game to handle allll the chopping and prep, but this doesn’t seem to be that season of my life. Soup and salad is a go-to meal in my house, so reviewing the new Now Planting soups that are popping up in the refrigerated section of my grocery store was a welcome opportunity. The plant-based soups are vegan (although some of them are so creamy I took a second look at the label), gluten-free, dairy-free, and the packaging is both BPA-free and microwave-safe. 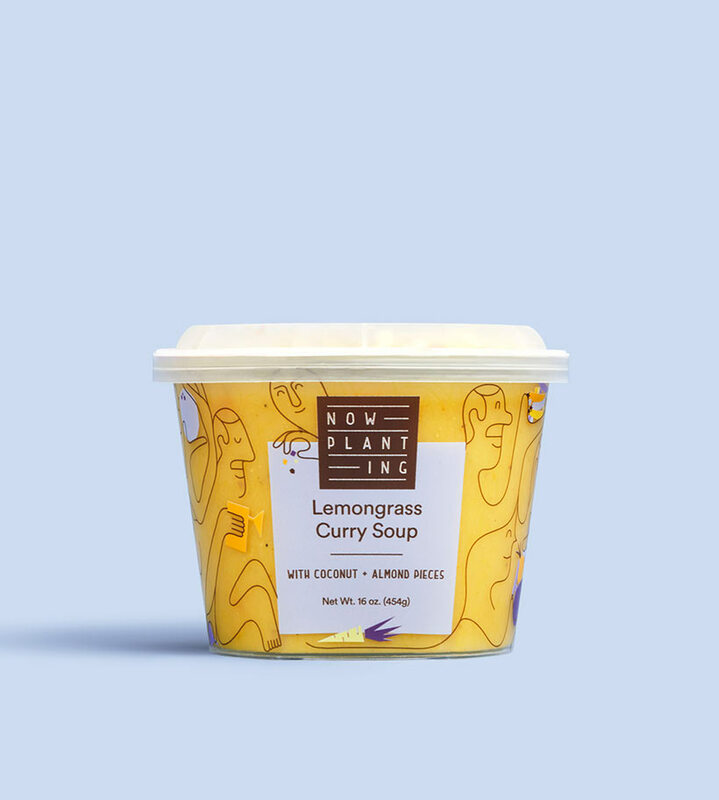 Now Planting comes in a variety of interesting flavors: Lemongrass Curry, Sopa Verde, Cauliflower Red Pepper Bisque, and more. Aside from fun base flavors, each also offers a finishing touch, like spiced pepitas or ancho sunflower seeds, so you get a little extra kick of flavor, plus a satisfying texture. 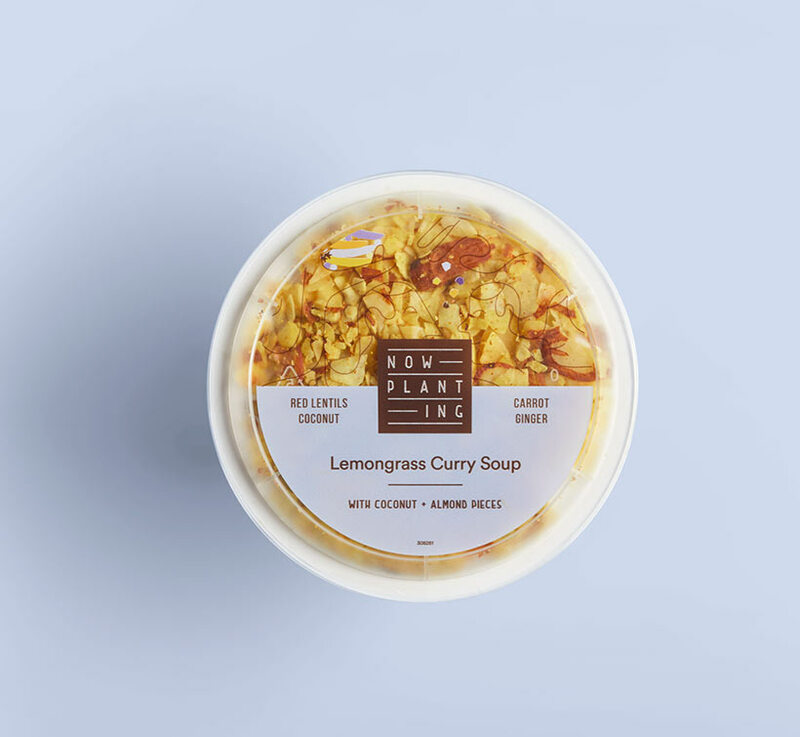 They’re all plant-based and made with real ingredients that you’d recognize, and each soup in the roster is naturally low in calories, fats, sugars, and they come in under 500 mg of sodium per cup — which, if you’re a pre-made soup afficionado, you know that’s not always easy to come by. That said, I did find the need to add a little extra heat to a few of the flavors, but I like things pretty spicy, so you might find them plenty flavorful without any help at all.